The Look by Sophia Bennett. Grades 7+. Chicken House, March 2013. 336 pages. Reviewed from ARC provided by publisher. Sisters Ava and Ted (short for Edwina) could hardly be more different. Seventeen-year-old Ava is gorgeous and confident with a gorgeous boyfriend and a gaggle of admirers at school. Fifteen-year-old Ted's nickname at school is "Friday", short for "Freaky Friday". She's too tall and gangly with hair resembling a bird's nest and the bullies at school won't let her forget it. When Ted is accosted on the street by a supposed "model scout", she's skeptical at first, and when he turns out to be legit, Ted has no interest. But Ava's been diagnosed with cancer and their dad has recently been laid off from his job, forcing them to move from their beloved home to a tiny apartment. Ted's modeling career just might be the ticket to cheering up her sister and providing some much-needed income to her family. This story hit just the right blend of fluffy and serious, of fashion-y fun and cancer drama, and it's all told in a beliveable narrative voice. Ted works quite nicely as the Everygirl, a plain teenager who's astonished to be swept up in the modeling world. Her progression through that world was handled well. At first Ted knows nothing about fashion, but as she starts to learn more she gets more interested in it, ultimately coveting new makeup and clothes in a way she never would have before. And although Ted enters the modeling industry so her sister can live vicariously, there are moments that Ted likes getting the spotlight. There's just a tinge of romance, which I didn't feel was really necessary to the story, but it's done with such a light hand that it didn't detract from the story, either. And although there were a couple of poignant moments that brought tears to my eyes (the sisters getting their heads shaved together, being one), the overall tone of the book is upbeat and hopeful. The story's about older teens, but the content is very tween-appropriate. This is a story to get lost in and I had the happy occasion of a day off from work so I could devour the whole thing! 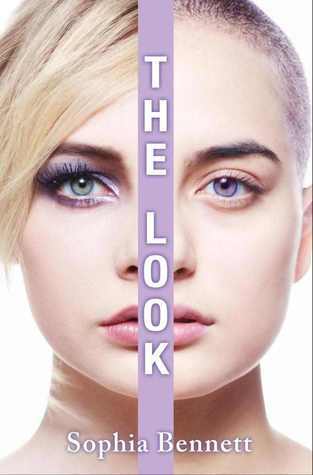 Originally published in England, The Look will be on American shelves in March 2013. For the tone - a mix of funny and serious, fluffy and dramatic, I'd recommend Drums, Girls, and Dangerous Pie by Jordan Sonnenblick. For more fashion-related fiction, I'd recommend Sophia Bennett's other novel Sequins, Secrets, and Silver Linings or Lola and the Boy Next Door by Stephanie Perkins or Violet on the Runway by Melissa Walker. For more cancer fiction, try Before I Die by Jenny Downham (also British!) or The Fault in Our Stars by John Green.